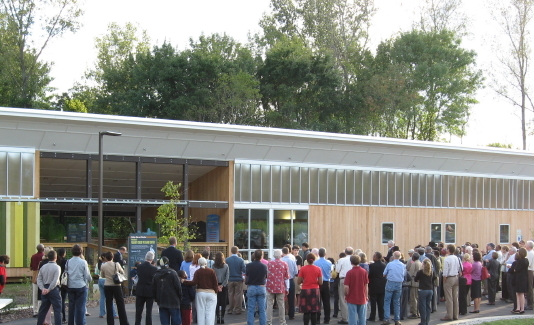 Numerous city and parks officials joined a large crowd of citizens for the ribbon-cutting ceremony celebrating the opening of The Walnut Creek Wetland Center. 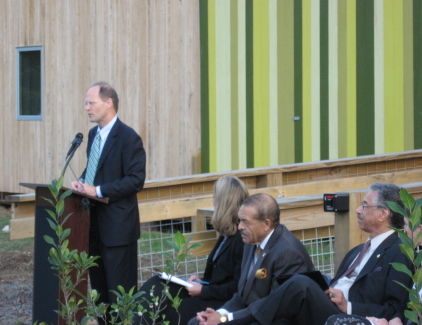 Dr. Norman Camp listened to Mayor Charles Meeker, city councilman James West and park officials speak about the new center. 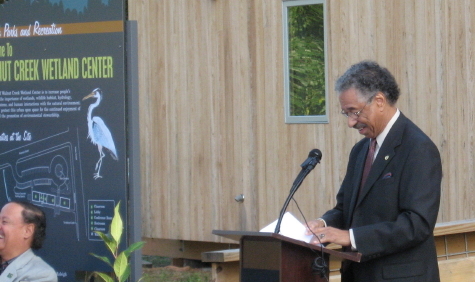 Then the founder of Partners for Environmental Justice , and the man who sheperded this project into being, got up and spoke of the center as a shining new gem in Raleigh’s crown,” as quoted on Raleigh Eco News. The crowd listened attentively as the benefits for Southeast Raleigh as well as the ecosystem were described and the many supporters and participants were thanked. Then they were rewarded with a magnificent poem written for the occasion, by Christopher Rowland, a Southeast Raleigh native who wows the crowds at Artspace’s Stammer under the name Langston Fuze. 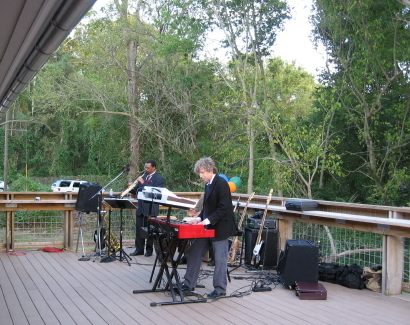 Musicians entertained on the “longest back porch in the Southeast,” and Erin Sterling, architect of record for the project from Frank Harmon Architecture, explained the details of the green design. The building is 230 feet long and narrow so that all rooms get light from two sides and often three. It is sloped up to the north and shelters its southern exposure with the long low porch roof. 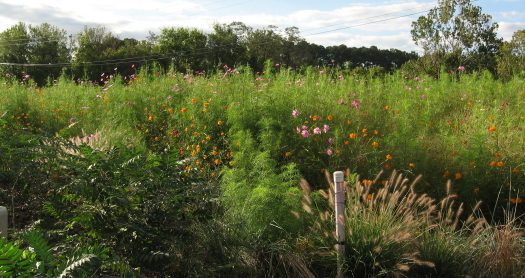 Raleigh’s final budget did not allow for the planned rainwater cisterns, but they can come later and the gutters now direct into bioretention areas – long rain gardens that surround the space. The building is on stilts and allows natural water flow under it – important in this floodplain. 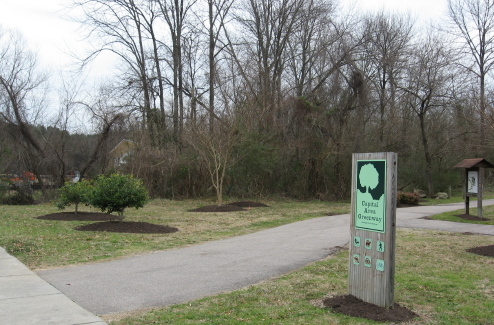 Recycled lumber and building materials were used when possible, and native plantings surround the site. On the other hand, several of us gazed from the wonderful porch at a huge stand of Microstegia (bamboo or stilt grass) just at the edge of the construction clearing and bemoaned a bit the vast future work entailed in continued future protection of this site and may others in Raleigh. The educational center will raise awareness of those issues, and provide a much needed amenity and attraction in this part of Raleigh. Thanks for all your work, Dr. Camp! 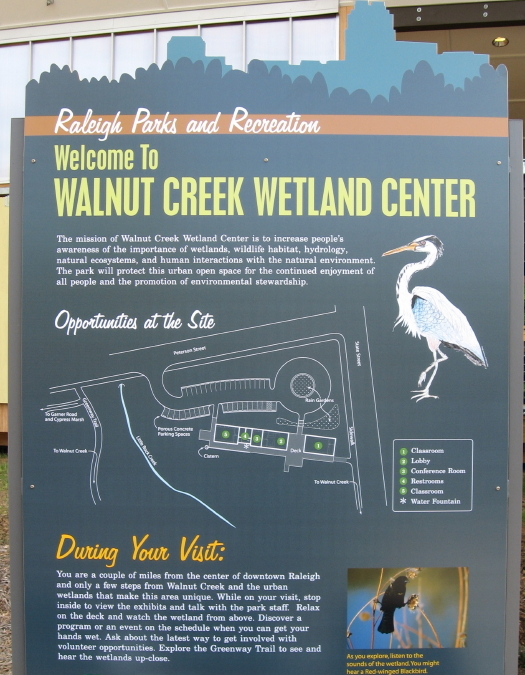 Sue Sturgis at Raleigh Eco News has an excellent post about the new Walnut Creek Wetland Center, which has a grand opening at 5:30 this Tuesday, Sept. 29th. Raleigh Nature featured the center back in February, describing Frank Harmon’s green design, which Sue explains in detail. This stretch of greenway presents some interesting wetland areas, but the largest has suffered from lack of water for the last few years. 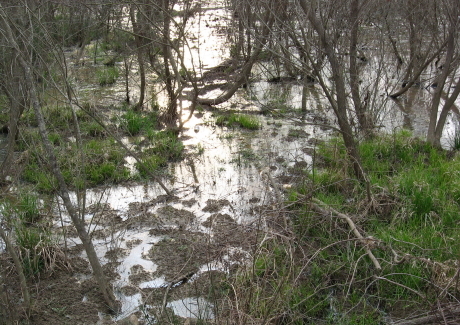 I haven’t seen the scene above that wet for a long time – the spot is at the edge of the marsh just below Women’s Prison. 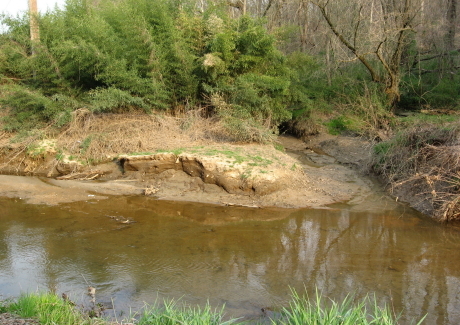 Below is a typical stretch of the creek, which continues to be sand-washed and silt laden. The new center is just the focal point of multiple efforts to improve the watershed. You are invited to come enjoy the center at your leisure, explore our educational displays, wander the greenway trails, relax in a rocking chair on the expansive deck overlooking the floodplain, or ask our knowledgable center staff any questions you may have about the wetlands and wildlife you encounter. Visitors who want to explore the wetlands more can register for low cost instructional programs. Fun activities for all ages will be offered year-round encouraging the sense of wonder all people feel in their favorite woods, park or local greenspace. Using the variety of natural habitats surrounding the state of the art Wetland Center, park staff will guide visitors in programs that engage students on both a scientific and experiential level. 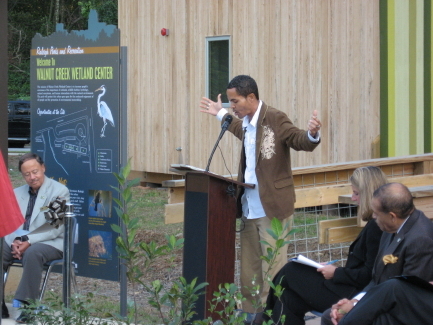 Wetland activities will begin inside the comfort of the center, or on the spacious deck, where visitors will be introduced to the concept of wetlands. The real fun begins when classes take the next step and venture into the wetland to experience nature with their own hands. Ribbon-cutting begins at 5:30 pm. Tours and program demonstrations will follow. 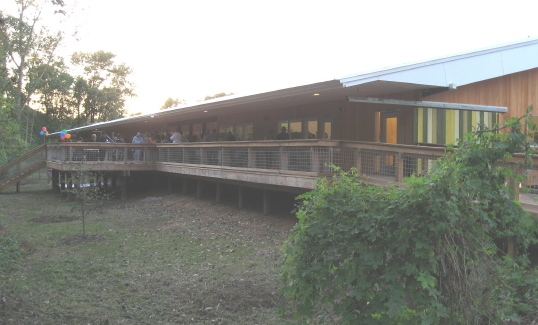 Walnut Creek Wetland Center offers a wilderness experience without leaving the Capital City. Located on 59 acres of undeveloped floodplain near downtown, this new City of Raleigh facility will be the first of its kind. So you’ve been putting yogurt cups, pizza boxes, and ceramic cups in your recycling bin. Guess what? The City of Raleigh cannot recycle these products. * Non-food glass products such as ceramic cups, vases, dishes, plate glass, mirrors and light bulbs. This is a great reminder, on a local and general level. If we really want to change our habits relative to recyclable materials, we have to be a bit saavy about consistent appropriate use of the system. Just as we can’t take disposal and landfill space for granted, we have to understand the basic processes of recycling and help the process work efficiently and cost-effectively. Great work and thanks, Sue! 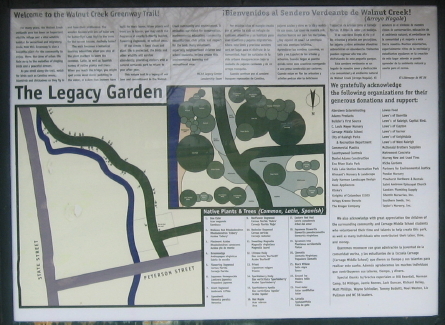 Construction has begun on the Walnut Creek Wetland Center, as reported in NandO on February 11. 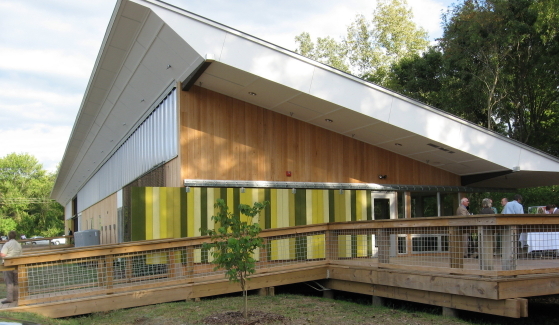 The center is the culmination of efforts led by Norman Camp to rehabilitate and protect the wetlands of Raleigh’s Southeast. This topo map shows the area. 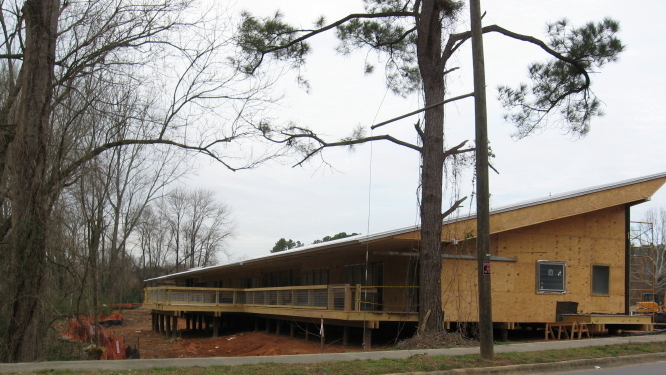 The new building, shown below, was designed by Frank Harmon, and will stand six feet above the ground and have a minimal ecological footprint. 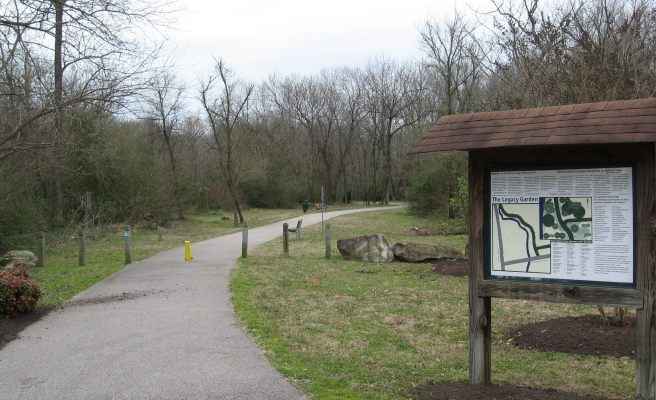 An earlier post describes some amenities of this section of greenway. The groundhog definitely saw his shadow, but early signs of spring abound in Raleigh. Above is henbit between Hodge Road and Crabtree. 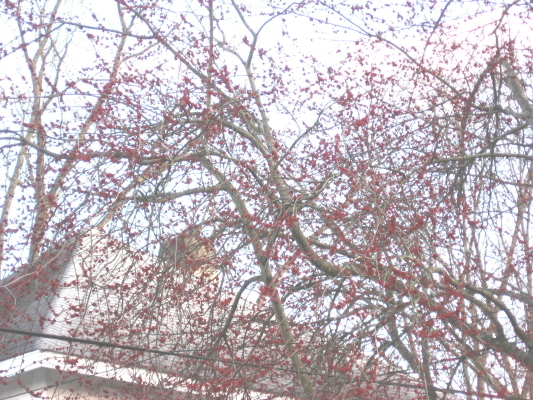 Below are red maples blossoms in Oakwood. There is some cold air coming, so there will be some casualties – though our well-mulched garden parsley and “spinach under glass” on the deck are doing great! First and most behind: responding to the multiple inputs about Lassiter Mill and Raleigh mill history. 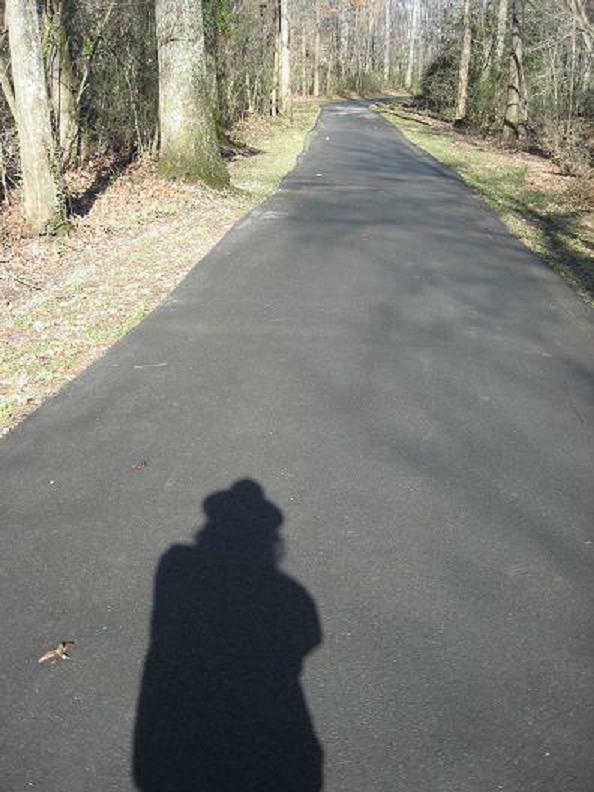 From David’s great pics of the upper water, to the amazing Lassiter mill drive wheel images sent by Jimmy, and the history and memories in the comments, we need to return to this subject soon! I recently got a fascinating inquiry from Carol about the infilled Lake Boone, and the natural springs that fed it, and I want badly to follow that up. I very much appreciated the mistletoe tips from Meredith, and dream of my “pecans and mistletoe” map of Raleigh! Scott, a well-known author, my old friend Joe, and Tommy, a songwriter from my past, all greatly helped my still-unfinished exploration of the Pigeon House Branch system and the expensive new Fletcher Water Park that feeds into it. We’ve been blessed with an explanation of Raleigh Swamp’s waters by Mark, who engineered it, and we’ve been sobered by the plea for resolution from Deborah concerning Ward Transformer’s lifetime of ecological crimes against our area. I look forward to sharing Patti’s wonderful hawk story, and keeping Michiel in the Netherlands all caught up on Raleigh’s natural scene. 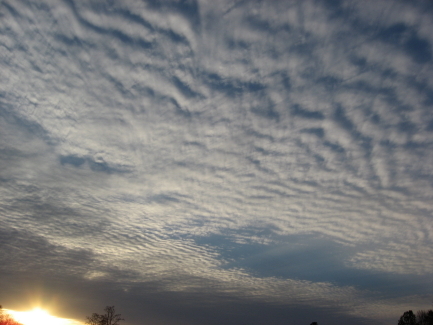 Mentioning these highlights, many thanks to all who have written or commented. It really helps the work! Chris Crew and Matthew Brown just wrote a wonderful article about Oakwood wildlife for our neighborhood newsletter.They are neighbors at the bottom of the slope at whose crest I reside. Between my house and theirs almost every inch is controlled by humans, and the water flowing downhill is piped or culverted. Below their house, toward Brookside and Glascock, the land opens up just a bit and has some natural edges. As a matter of fact, Chris is uncovering the section of Grassy Branch in his backyard, and that’s another topic on my to-do list. Just across the road, though, is Oakwood Cemetery, a significant oasis for many living things. 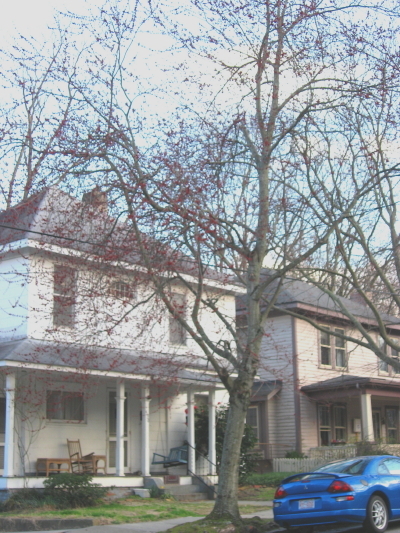 According to their article, our neighborhood boasts a huge variety of species. Among many bird species they describe, the cedar waxwing invasion for berries and the long-standing nest of red-tail hawks stood out. Foxes, possums, and a substantial population of raccoons are described. There are excellent nature lore tips regarding the colors of 5-lined skinks and owl sounds. I wish the newsletter were online, but if you have a friend that’s a resident, check it out. Way to go, Matthew and Chris! PS: Hope ya’ll like the revised sidebar. PPS: Matthew very kindly posted the article referred to above HERE. From the southern edge of the Carnage Middle School campus, or across from the old water station on Wilmington Street you can access a string of highly varied greenway segments that soon will connect Centennial Campus and the Walnut Creek amphitheatre complex. Due south of downtown, this stretch witnesses the joining of Rocky Branch with Walnut Creek just east of Wilmington, as well as the final taming and flattening of the Walnut Creek watershed as it approaches the Neuse. Lots of marshy wetlands, including one right behind Womens’ Prison where a greenway viewing deck offers red-shouldered blackbirds, hawks and (after the drought) some unusual wetland plant species.